Afternoon Golf is SOLD OUT. There are still spots available in the Morning tee time (7:30am). If you would like to be added to the waiting list for an Afternoon spot, please email events@nephcure.org and we will let you know if anything opens up. Last year, you helped raise over $430,000 and we hope we can count on your support again this year. Please help NephCure, Michael Levine, and his son Matthew have their most successful event ever! We will be golfing once again at Glen Head Country Club with beautiful views and challenging play for golfers at every skill level. In the evening, we'll go "All In" to fund NephCure's mission to find better treatments and a cure for FSGS and other rare kidney diseases that cause Nephrotic Syndrome. This annual event includes a full buffet, open bar, silent auction, and fully-loaded candy kiosk. Players of all skill levels are welcome! Please check out our Sponsorship Guide to review all partnership levels. Not a golfer or card player? Join us as a spectator! Our Dinner Guest ticket grants you access to the event, full buffet and open bar. It's a great opportunity to support NephCure and join in on the fun without playing in the competition. For questions, please contact Events@NephCure.org. 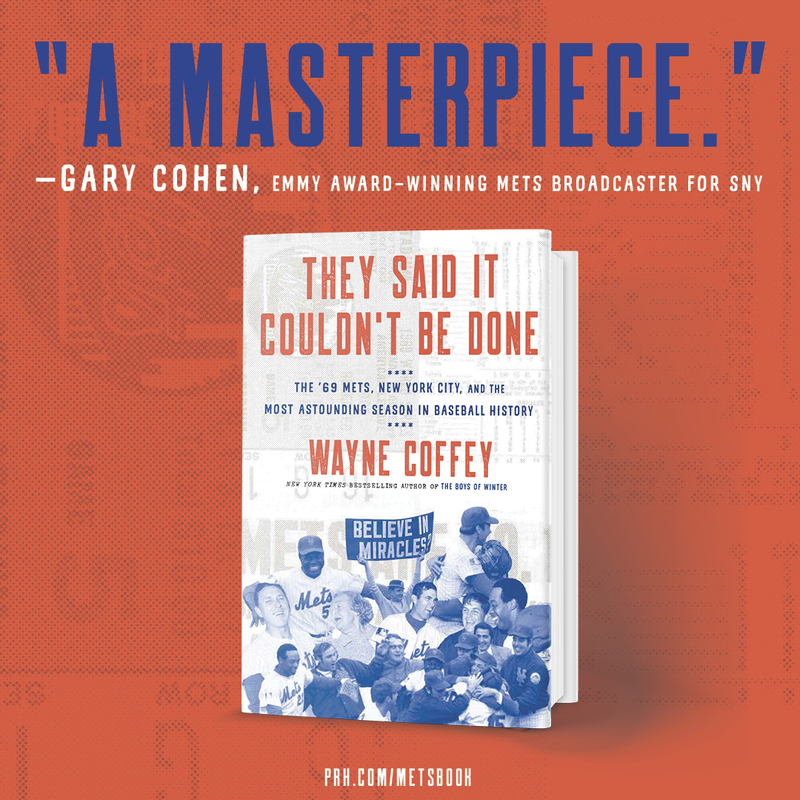 Wayne Coffey will be on-site to help raise funds selling his book and signing autographs! WAYNE COFFEY is one of the country's most acclaimed sports journalists. A former writer for the New York Daily News, he is the author of more than thirty books, including five New York Times bestsellers, among them The Boys of Winter, his chronicle of the 1980 U.S. Olympic hockey team - widely regarded as one of the best hockey books ever written. Coffey also co-wrote Mariano Rivera's bestselling memoir, The Closer, R. A. Dickey's Wherever I Wind Up and Carli Lloyd's When Nobody Was Watching, and worked with Urban Meyer on his leadership book, Above The Line. For more information, please visit www.waynecoffeyauthor.com. 1 golf spot, includes dinner. No tournament entry. 1 tournament seat, also includes dinner. No golf. Dinner only. No golf or tournament. Signage on one (1) tee. No tickets included. Logo featured on a tournament table. No tickets included. Logo must be received by April 23 and be a Photoshop or Adobe Illustrator file in PSD, EPS or AI format.